Frank Stick was a native Dakotan. He studied at Chicago Art Institute and under the renowned Howard Pyle before building a studio in Interlaken NJ. His original paintings appeared on calendars and on the covers of popular magazines like Field and Stream. In 1929 he settled his family on Roanoke Island and helped establish the first national seashore at Cape Hatteras, the Wright Brothers National Memorial, and the Fort Raleigh National Historic Site. 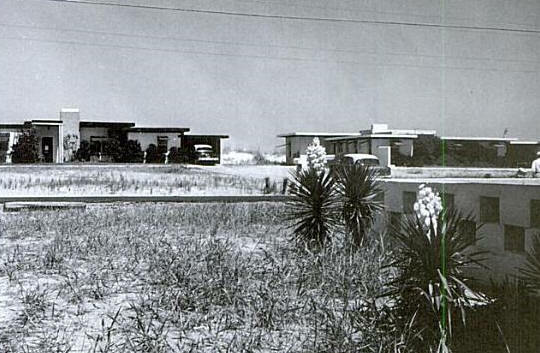 In 1947, Stick finally realized his dream of creating an ocean-to-soundfront community which he dubbed Southern Shores. Stick purchased the 2,600 acres, about 4 square miles, along what is now Route 12 for $30,000. It is now valued at $430 million. The area, part of which is shown below, incorporated into a town in 1979. Frank's son David was born in New Jersey. 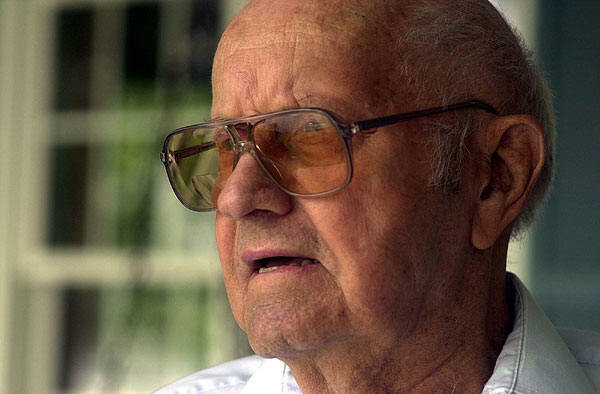 His father began taking family trips to the Outer Banks in the early 1920s, buying property. 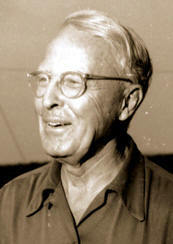 The family moved to Roanoke Island in 1929, and as a teenager Stick wrote a column for the Elizabeth City Independent. He enrolled at the University of North Carolina but, as he would later say, "flunked out." He later helped write the Coastal Area Management Act legislation, which governed conservation and coastal development in North Carolina. He lived in Kitty Hawk and was the first mayor of the town of Southern Shores. 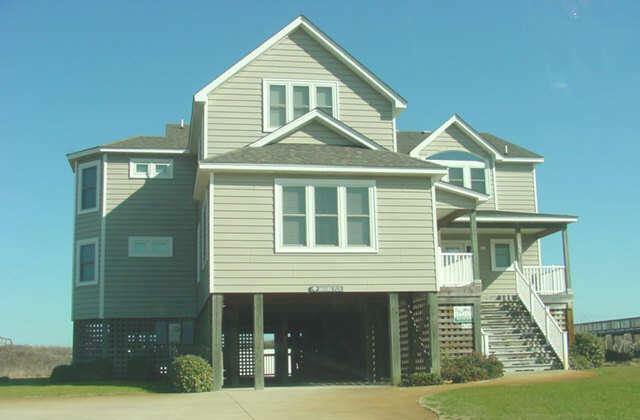 Stick also was the first licensed real estate broker in Dare County and a co-founder in 1982 of the Outer Banks Community Foundation, a nonprofit that grants money to worthy causes. His massive collection of northeastern North Carolina maps, charts, books and papers is at the Outer Banks History Center in Manteo. One story Stick told was how Amelia Earhart wrapped him in her arms in 1928, for a ride along sand paths in a pickup to the 25th anniversary commemoration of the first flight by the Wright brothers. Stick, then 8 years old, met Orville Wright at the event. David (left) and Frank (right). 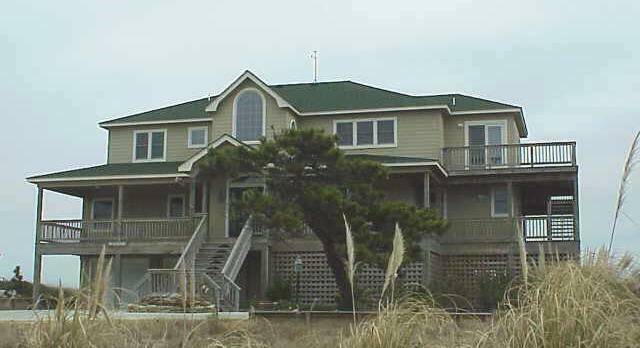 1948 - The McMullan Cottage, 80 Ocean Boulevard, Southern Shores NC. Designed by David Stick. As of 2011 owned by the Cynthia Estridge Trust. Photo by Aycock Brown. 1947 - The Frank Stick/Miller House (top photo, left), 60 Ocean Boulevard, Southern Shores NC. Sold to Arch Street Associates. Destroyed in 2003, replaced in 2004 by house in bottom photo. Top and middle photos by Aycock Brown. 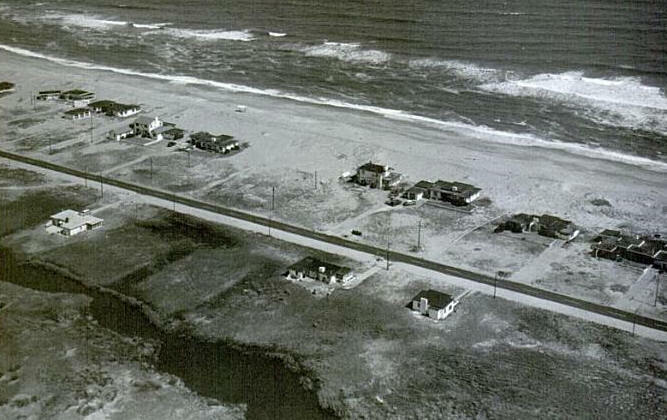 1948 - The Huntington Cairns House (top right), 58 Ocean Boulevard, Southern Shores NC. Designed by Frank Stick. 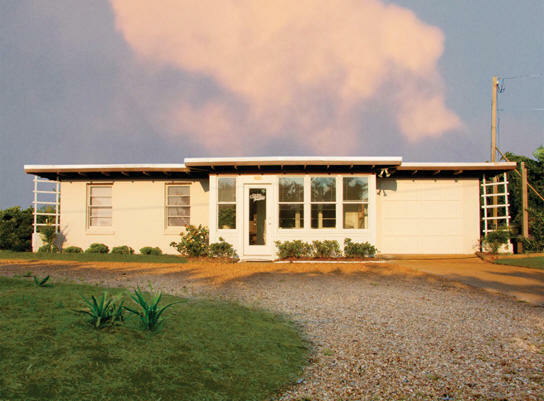 Sold in 1989 to Marian and Frank Hutchens. Destroyed, and a new house built in 1998 (bottom photo). B/W photo by Aycock Brown. 1948 - The Haserot Cottage, ??? 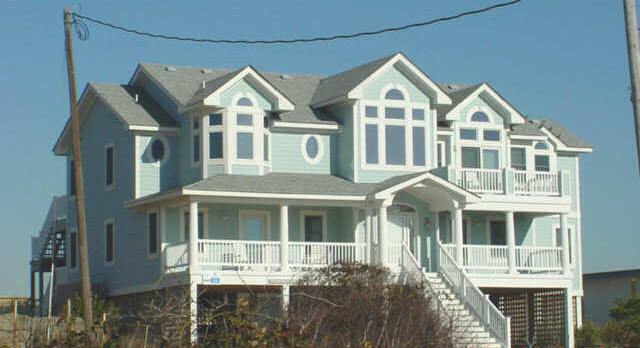 Ocean Boulevard, Southern Shores NC. Designed by David Stick. Destroyed 1998. Photo by Aycock Brown. 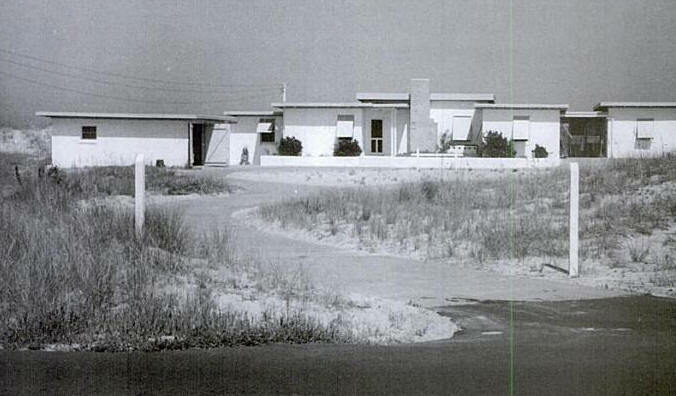 1948 - The Taylor-Smith-Covington Cottage, 44 Ocean Boulevard, Southern Shores NC, designed by David Stick. Sold to Joe and Janet Covington, who restored the house over a two-year period in the 1990's. Destroyed in 2012. 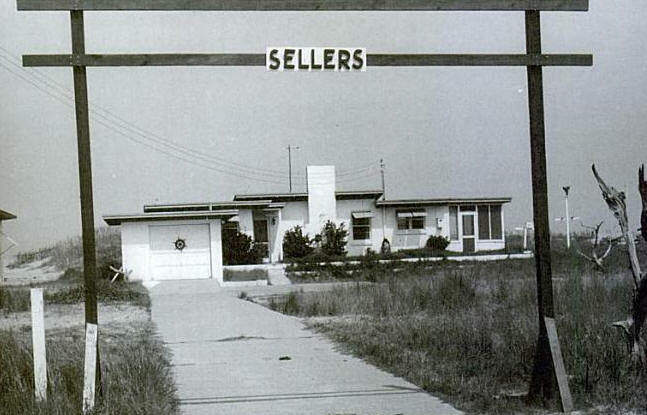 1949 - The Sellers Cottage, 124 Ocean Boulevard, Southern Shores NC. Designed by Frank Stick. Sold to Jay J. and Persis H. Richter. Sold to Michael Morgan. Destroyed around 2002 to build a new house, bottom photo. B/W photo by Aycock Brown. 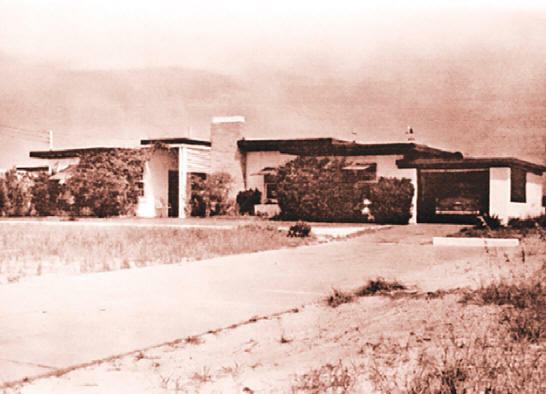 1950 - 98 Ocean Boulevard, Southern Shores. Sold in 2007 to Beverly Phillips, Trustee for Joseph D. Brooks and Frances T. Brooks. Destroyed. 1950 - The Smith-Millican-Garrett House, 100 Ocean Boulevard, Southern Shores NC. Designed by Frank Stick. Original clients were Brad and Ruth Smith. Sold to Ted and Marylou Millican who did an extensive renovation and expansion designed by Jude LeBlanc. Sold to Ben Garrett and Bob de Gabrielle in 1994. Sold to Ben Garrett in 1997. Sold in 2005 to Forrest Bartlett. 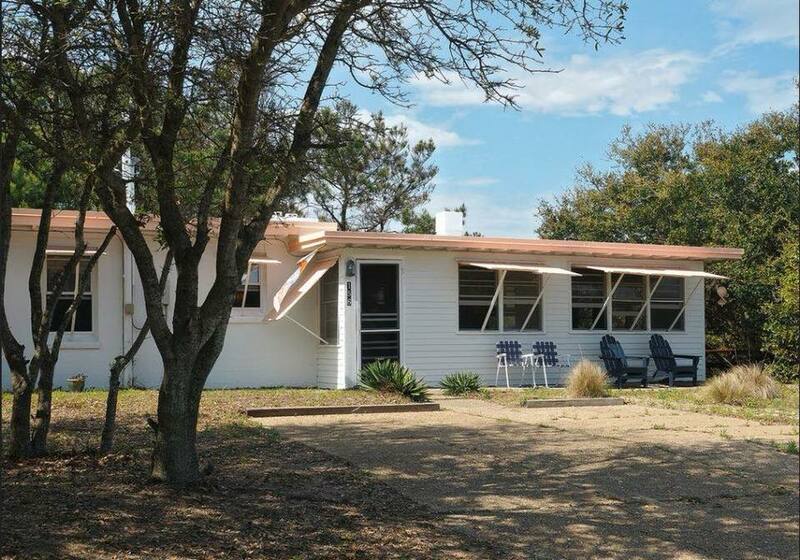 1953 - 13 Skyline Road, Southern Shores NC. Designed by Frank Stick. 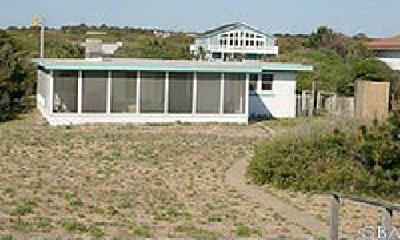 Privately owned until 2007 when it was given to Outer Banks Community Foundation for offices. In 2009, the Foundation established the Flat Top Preservation Fund expressly for the preservation of the cottage. B/W photo by Aycock Brown. 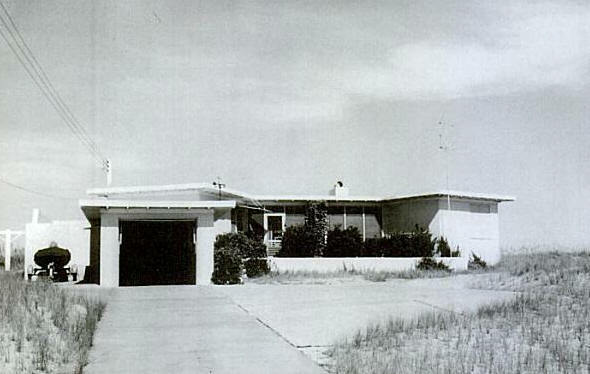 1954 - The George and Clara Clarke House, 156 Wax Myrtle Trail, Southern Shores NC. Sold to James and Rebecca Mauch of Pennsylvania. Sold in 2009 to Steve and Sally Gudas. A Southern Shores historic landmark. Needs verification as a Stick design. 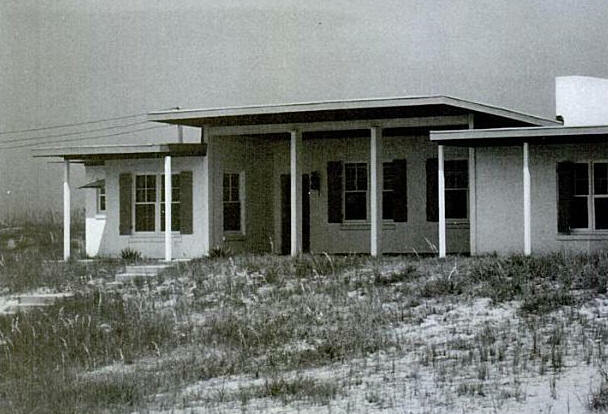 1955 - The Dunn Cottage, aka the Roth Cottage, aka Pink House, 220 Ocean Boulevard, Southern Shores NC. Designed by Frank Stick. Painted pink with white trim. 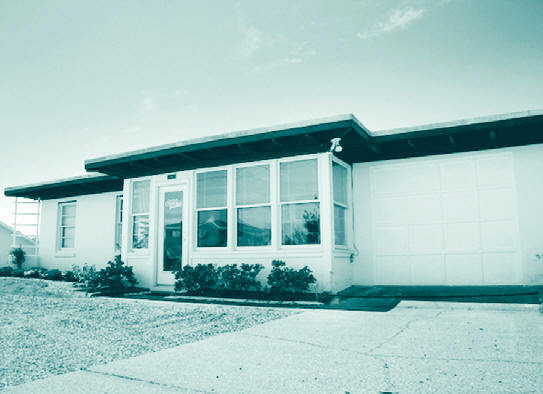 Sold to Martin and Barbara Roth in 1963. Sold in 2001 to James and Veronica Kiernan. Destroyed 2001, replaced in 2002 (bottom photo). B/W photo by Aycock Brown. Year Unknown - The Powell House, 43 Ocean Boulevard, Southern Shores NC. 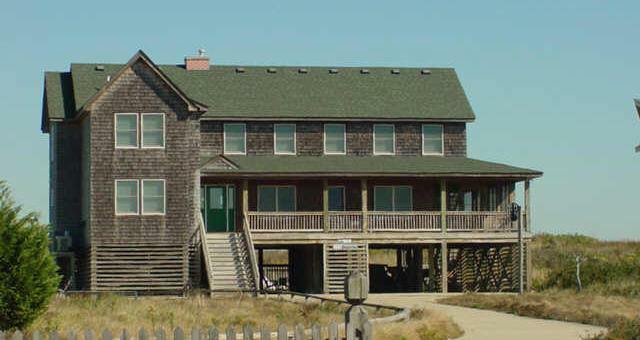 Sources include: Outer Banks History Center, Outer Banks Architecture by Marimar McNaughton, Pilot Online.